With some of the bigger names in the free agency market starting to commit, we thought we would take a “way too early” look at the contenders for winning the NBA Championship next year. 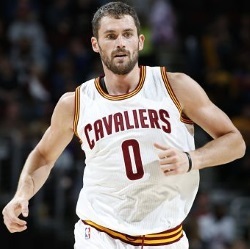 The online sportsbook currently have the Cleveland Cavaliers as an overwhelming +275 favorite, however, that number is skewed as the Cavs are being treated as a lock to come out of the Eastern Conference. Cleveland resigned Kevin Love to a long term contract, are expected to sign Tristan Thompson to a long term contract as well, and there is “decision” this offseason as to whether or not LeBron will be back in his hometown. As Golden State celebrated their NBA Finals victory last week, the city of Cleveland once again came up short as the city has not one a major sports championship in 51 years. 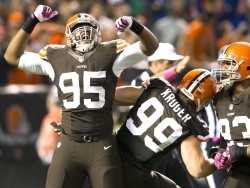 The Cavs and Indians have had some good teams in recent memory, but the Browns have been dismal since returning to Cleveland, and Cleveland Browns Stadium is known locally as a factory of sadness. Online Sportsbooks are starting to post their NFL Futures, including Super Bowl Odds and team wins over/unders. Betting on futures has potential for good payoffs, and has the added bonus of allowing the bettor to hedge himself later on for guaranteed profit even if the team doesn’t win the championship. NHL Stanley Cup Finals-Preview- Lightning vs. Blackhawks! The very tough and grueling NHL Stanley Cup Playoffs have finally worked their way down to just two competitors as the Blackhawks of Chicago take on the Lightning of Tampa Bay in this 1st Game of a 7 Game Series with the 1st Game being played on Wednesday the 3rd of June 2015 at the Amalie Arena in Tampa, Florida with the puck-off scheduled for 8:05 PM ET and seen on NBC SN TV. For those that Bet on NHL at an Online sportsbook, the odds at Las Vegas for this 1st Game have the Chicago Blackhawks as the underdogs, with the ML at +110 and the under 5 +120 and +1 ½ -280 on the GL. 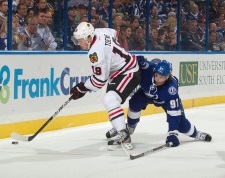 Read more: NHL Stanley Cup Finals-Preview- Lightning vs. Blackhawks! We are one week away from the start of the 20115 Wimbledon Championships, with the most prestigious tennis tournament in the world beginning on June 29th and running through July 12th. Betting on tennis offers a variety of online sports betting options, and here we break down the favorites in both the men’s and women’s singles. If history is any indication, then there are really only four players that have a realistic chance of taking the Men’s Singles Championship at Wimbledon this year. Going back the last 12 years, the Gentlemen’s Final has been won by either Roger Federer, Rafael Nadal, Novak Djokovic, or Andy Murray. An in each of the last four years, the runner-up also came from that group. Of those four, Rafael Nadal has failed to reach the Championship Match in each of the last three years, and he is listed as the longshot in that group with a 12:1 payout. 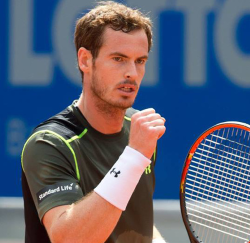 Djokovic is the favorite at even money, while Murray is +250 and Federer is +550. 2015 - NHL-2015 Conference Finals - Preview! 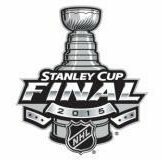 With the 2014-15 NHL Stanley Cup Playoffs underway we have the Eastern Conference Finals and the Western Conference Finals both taking place simultaneously. The Eastern Conference brings together the Lightning of Tampa playing the Rangers of New York with the first 2 games of the Series in New York, the 3rd & 4th games in Tampa Bay, 5th game in New York, 6th game in Tampa and the Final 7th game back in New York if needed at all games are scheduled for 8 PM ET. Read more: 2015 - NHL-2015 Conference Finals - Preview! San Jose, Costa Rica – Online sports betting company, 1Vice.ag is moving beyond giving away free money and bonuses to giving vacation prizes to attract new and existing clients. This summer, 1Vice is giving away an all inclusive vacation to Costa Rica for four people that will last five days and four nights. When 1Vice opened its doors to the gambling public back in 2011, it attracted many players by having ground breaking and competitive sportsbook promotions that involved giving away money, large bonuses and paraphernalia. SportsbookSOS was able to get an exclusive telephone interview with the CEO of CRsportsBet.ag which has recently been mentioned on the OSGA and several other websites online about a possible connection with BetMayor. The article on the OSGA suggests about a possible player bailout even though BetMayor denies that they are closing their doors and that all players will be paid in the next 60 days due to a merger with Media-Tech Inc.
After reading the article on the OSGA, Mr. Chu reached out to SportsbookSOS in order to get the record straight.